This area of predicted flooding is calculated based on a simulation of what would happen if the Kiso river overflowed due to elevated water levels at Inuyama (used as a reference point for creating flood prevention plans), predicted as occurring approximately once every 200 years, and at Imawatari (further upstream of Inuyama), predicted as occurring approximately once every 100 years. This simulation has taken into consideration the progress of maintenance on Kiso river channel, and the conditions of flood control facilities at Maruyama, Agigawa, Misogawa, and Iwaya Dams. During the simulation, situations like subsidiary streams overflowing, heavier than expected rain, flood tides, or flooding of other inland bodies of water were not taken into account; therefor, floods may occur in areas not designated on this flood simulation map or the actual depth of the water may be different to the predicted depth. At the end of October last year Sony EMCS Corporation announced that they were closing their Minokamo site at the end of March. It is possible that people working for the company and related companies will be affected through lost jobs or reductions in wages when this happens. Gifu Prefecture has a loan system in place to offer support when an extreme economic change happens for the worse. This loan system is offered in conjunction with Tokai Rokin Bank, and details can be accessed from your nearest Tokai Rokin branch office. 	You are an employee who is a resident of the prefecture and has been affected by extreme economic change. 	You have been fired from your place of work due to a decision by your employee, and are currently looking for work. 	You have had your salary reduced by 10 percent or more because of circumstances at your place of employment. 	You must have been living in the prefecture for more than 1 (one) year, and have paid prefectural tax for that year. 	You must have been at 1 (one) place of work for more than 1 (one) year. 	The total income of your household must be 1.5 million yen or more. 	You must be 20 years or older. 	You must be eligible for a guarantee from a financial institution resulting from an inspection. In some cases, a co-signer to the loan will be necessary. Loan limit: 1 (one) million yen per household. Repayment period: Within 10 years (including a deferral period of 6 months). Loan interest: 1.5% per year (a guarantee fee of 0.7% - 1.2% will be charged separately). Repayment method: Repayment equal to the original amount lent plus interest (monthly installment or combination of monthly installment and twice-yearly payment). Experience Years of translation experience: 7. Registered at ProZ.com: Dec 2005. Professional practices Sally Wals endorses ProZ.com's Professional Guidelines (v1.1). I come from a small town in rural Australia, with a passion for travel, learning and meeting new people. I have spent most of my adult life pursuing the study of Japanese language. I love the new ways in which it makes me think, and the challenge of expressing myself in a different culture. 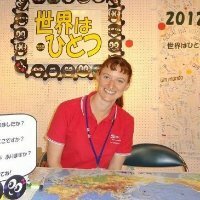 After a total of 6 years in Japan I relocated back to Australia in August 2014. I have three years experience in translation working for a prefectural government institution in Japan, completing in-house translations and translations on request for local governments. I have worked full time as a freelance translator since August 2014 in my home in Perth. I am able to translate a wide variety of documents in the field of business, including documents relating to tourism, marketing, and business letters. Through my experience in creating translations that act as a lifeline for residents of Japan with no literacy in the Japanese language, I have developed a work ethic that drives me to create translations that are catered for the readership, culturally sensitive, are easy to understand while maintaining accuracy for both native and non-native speakers of English, and need minimal or no editing. I am looking forwards to cooperating with you.